Lehigh Valley SS J.P. Crawford was co-offensive player of the month among Phillies minor leaguers. Buffalo 8, Lehigh Valley 2 (5 Inn. ): RHP Tom Eshelman gave up eight earned runs in four innings in his first start since coming off the DL with a right flexor strain. The game was halted after 4 1/2 innings because of rain. Eshelman, acquired from Houston in the 2015 Ken Giles deal, gave up nine hits and a walk in his first start since July 17. Third baseman Pedro Florimon (.274) hit his eighth homer and 2B Scott Kingery (.301) tripled for the IronPigs (67-45). Akron 14, Reading 4: LHP Cole Irvin gave up nine earned runs in four innings to fall to 5-2. His ERA jumped from 3.18 to 4.56. Reliever Jeff Singer had a walk and two strikeouts in two-thirds of an inning in his third appearance at the AA level. 3B Harold Martinez pitched a scoreless ninth for the Fightin Phils (57-51). Clearwater 6, Palm Beach 1: SS Emmanuel Marrero had a single, double and triple and 1B Wilson Garcia went 3-for-5 with two doubles and an RBI for the Threshers (60-51). RHP Franklyn Kilome (6-4, 2.59) allowed one earned run in six innings with no walks and four strikeouts. Fireballer Sixto Sanchez is slated to start for Clearwater on Saturday. Lakewood 12, Hagerstown 5: C Colby Fitch went 3-for-4, scored four times and hit a three-run homer in the eighth inning to lead the BlueClaws (59-52 overall). DH Darick Hall drilled his 21st homer of the season as Lakewood rolled up an 8-2 lead after the three innings. CF Mickey Moniak (.256) singled and scored a run for Lakewood, which is 19-22 in the second half of the season. Williamsport at Batavia (ppd. ): The game will be made up as part of a doubleheader on Aug. 19. Braves 4, Phillies 3: DH Quincy Nieporte went 2-for-4 with a double to up his average to .347 (26-for-75). RF Yahir Gurrola also was 2-for-4 and is hitting .333 (24-for-72). The Phils' bullpen gave up single runs in the eighth and ninth to turn a 3-2 lead into a 4-3 loss. The Phillies announced their minor-leaguers of the month for July. 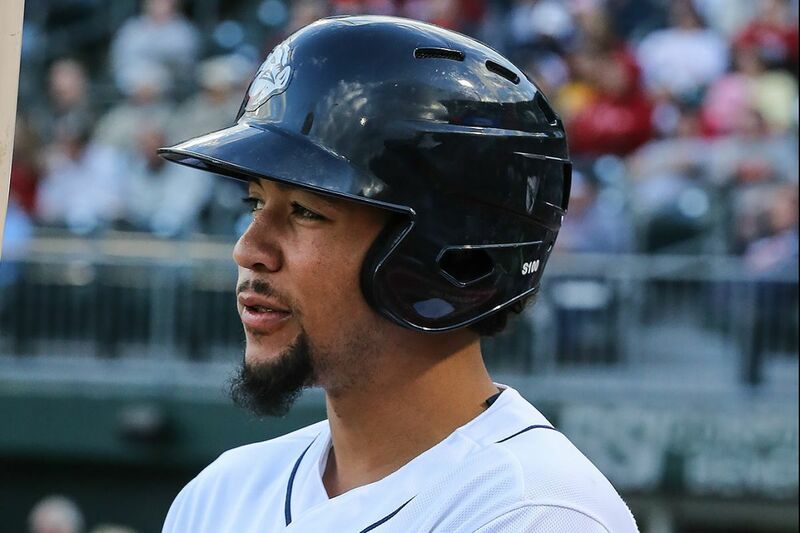 Lehigh Valley shortstop J.P. Crawford and Williamsport outfielder Jhailyn Ortiz were named the co-hitters of the month. Crawford hit .281 with eight homers and 18 RBI and a 1.025 OPS in 27 games. Ortiz hit .342 with five home runs, 19 RBI and a 1.094 OPS. He had 11 multi-hit games in the 23 he played in July. Williamsport LHP Kyle Young was named the organizations top pitcher. He went 4-0 with a 0.72 ERA in 25 innings. Lakewood shortstop Arquímedes Gamboa was named the defender of the month. He had one error in 23 games.